The development of a knowledge-based economy is expected to help Ho Chi Minh City realise its ambition of becoming a major centre of economics, finance-trade and science-technology in Southeast Asia. 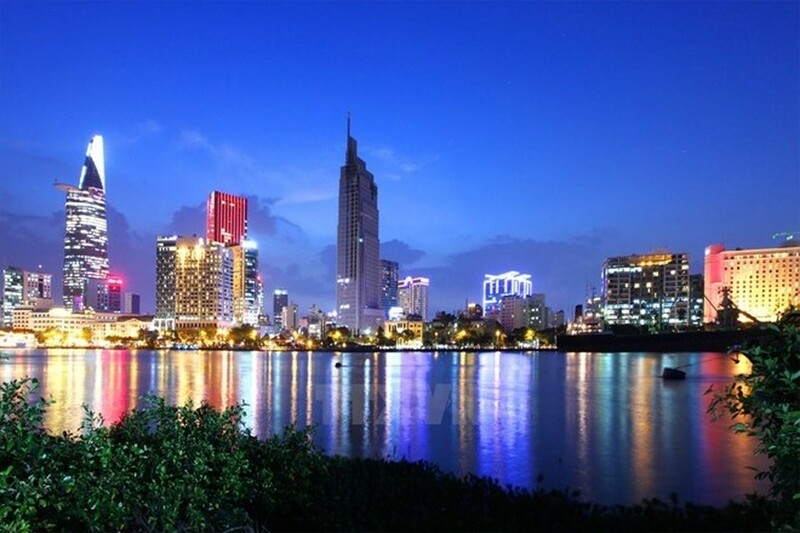 According to Vice Chairman of the municipal People’s Committee Le Thanh Liem, more than 400,000 Vietnamese residing abroad work in hi-tech fields, making up close to 10 percent of the number of Vietnamese expatriates. The city is placing a premium on high technology, the support industry and biotechnology while focusing financial resources to develop startups. Positive outcomes have been recorded in the chip industry development programme that began in 2013, such as successfully designing and producing 8-bit and 32-bit chips. The SG8V1 chip was the first to be sold commercially in Vietnam and is replacing foreign chips in electronic devices. The Biotechnology Center of Ho Chi Minh City is cross-breeding new varieties and studying different vaccines for the agricultural sector. The center successfully produced vaccines for tra fish. Dr. Nguyen Quoc Binh, an overseas Vietnamese in Canada, said a successful vaccine for fish could bring profit of over 100 million USD for farmers annually. Meanwhile, the Saigon Hi-tech Park (SHTP) has attracted over 300 Vietnamese from abroad to work from 2002-2016, including leading experts in hi-tech fields such as semiconductor chips, nanotechnology, new material technologies, mechanics, biology and medicine. The Saigon Silicon City project has been carried out by a group of overseas Vietnamese investors from the US Silicon Valley since 2015. With a total investment of about 40 million USD, the project is expected to lure some 1.5 billion USD in investment when fully operational. 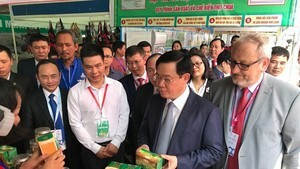 Nguyen Minh Hieu, a Vietnamese American and Chairman of the Silicon Saigon Park JSC, said the project aims to forge connectivity between Vietnamese expats and international groups to promote innovation and technological transfer and create a healthy investment climate. Vice Chairman Liem said the project holds significant meaning to boost hi-tech fields in the city in addition to encouraging overseas Vietnamese to return home to invest. The project is expected to help Vietnam and the SHTP create products with high added value, he added. Per capita labour productivity at the park reached 196,000 USD in 2015, 9.8 times higher than that in other export processing and industrial zones in the city. Another IT park, namely Quang Trung Software Park, has attracted nine businesses and 60 Vietnamese expatriates, who are expected to connect the local business community with foreign markets, especially North America. The Vietnam IT Outsourcing Alliance also gathers businesses at home and abroad to embrace links with major software export markets such as the US and Japan. The southern economic hub earned 26.6 billion USD from exports in January - October, up 6.5 percent year on year, while that of the same period of 2015 declined 3.8 percent, according to the municipal Department of Planning and Investment. Shipments to some countries have risen considerably, including Indonesia (up 61.1 percent), India (52.6 percent), China (36.5 percent), Thailand (31.5 percent) and the Republic of Korea (26.4 percent). About 30.3 billion USD worth of goods were imported into HCM City from January to October, climbing 10.7 percent from a year earlier. The rate was 8 percent in the corresponding period last year. As many as 29,899 businesses were set up during the 10 months with a total registered capital of over 242.16 trillion VND (nearly 10.9 billion USD), increasing by 15.9 percent in the business number and 46.1 percent in capital. The city granted the investment registration certificate to 668 foreign invested projects, up 44 percent year on year, with a combined capital of 798.7 million USD. About 477.3 million USD was also added to 145 existing projects over the period. Authorities also allowed foreign investors to contribute capital to and buy stakes in local companies, at some 1.23 billion USD in total. It attracted 2.5 billion USD in overall foreign investment in the first 10 months.